Limited Quantities. 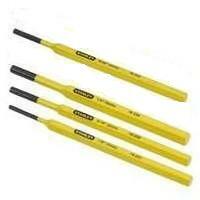 1/8" prick punch, 4/32" center punch,6/32" prick punch, 1/8" tip long center punch (drift punch. Vinyl storage pouch with velcro closure. Discontinued.